On Saturday, Netanyahu announced that he was planning to extend Israeli sovereignty over settlements in the occupied West Bank territories if he wins another term in the upcoming elections, scheduled for 9 April. 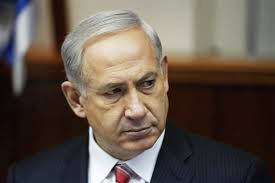 Prime Minister Benjamin Netanyahu stated during a pre-election interview with the Hebrew website Arutz 7 on Sunday that a Palestinian state will not be created. "A Palestinian state will not be created, not like the one people are talking about. It won't happen," Netanyahu asserted.